Your UBL Omni Selfie Account is Only Away From A Selfie Click!!! Banks are the main source of keeping our money safe and secure. For this purpose all banks are offering many new services and now UBL also bring an excellent service for all UBL customers. United Bank Limited always introduces unique services for its customers. This time UBL bring a new service for its customers named UBL Omni Selfie Account. It’s really a new type of account that only UBL announced first. For the UBL Omni Selfie Account you only need to download UBL Omni App and after this simply open your Selfie Account. The main advantage behind this account is to comfort the users from their home. They can feel easy and stress free after opening UBL Omni Selfie Account. 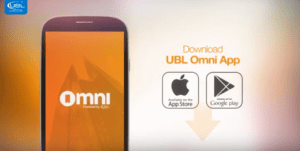 Now you can enjoy much more with UBL Bank and UBL Omni App will become everything simple and easy for its customers. The customers can perform multiple tasks from this account as send money across the country, pay utility bills and much more. The complete details of UBL Omni Selfie Account are mentioned below. UBL bring a new type of account for its customers on low rates. Now you don’t have need to go in a bank for opening an account. You only need to download UBL Omni Selfie App and open your account in few steps while you are at your home. You don’t need to go outside for opening an account. The customers can perform multiple tasks from UBL Omni Selfie Account. The Omni Mobile App is a secure and easier way to use Omni’s services. Now open your account just from a single selfie and enjoy the Omni’s services, because With UBL Omni everything is simple and easy.